Be a beacon of hope. When you find a way to spread positivity no matter the circumstances, negative people won’t like it. Misery loves company and pessimistic people want you to be miserable with them. Be a source of positivity anyway. You can always find a way to be positive just like you can always find a way to be negative. The funny thing is, eventually you will create a brand for yourself. 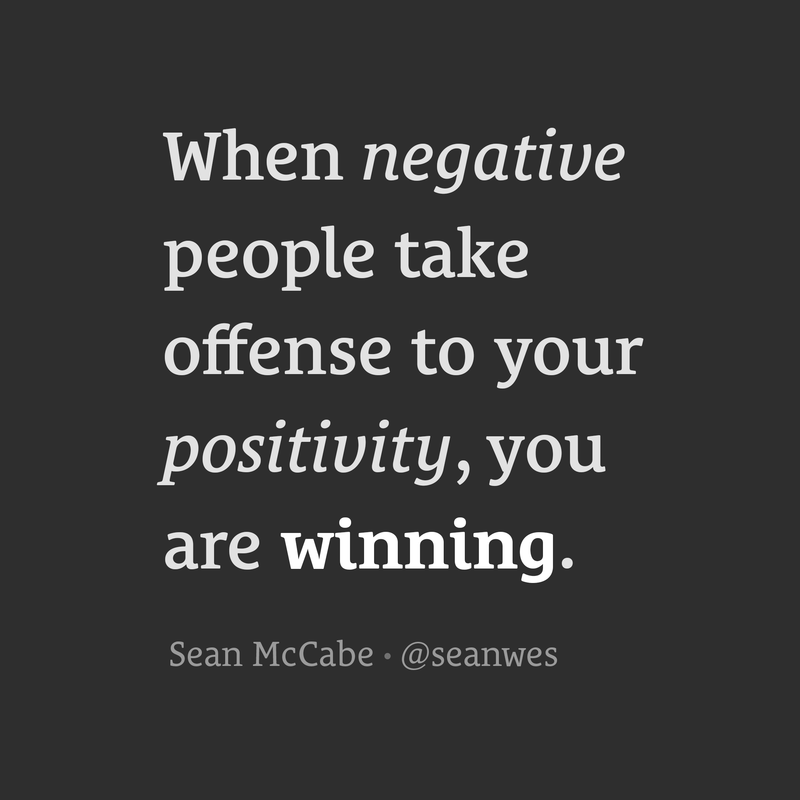 Even negative people will come around at some point. When they do, you’ll be the first person they turn to. Don’t be discouraged when people ridicule you for your positivity. Secretly, they wish they were as positive. You have something they want. Stay the course and be a light for people in need of hope.